If you planning Business Trip to India, we have network all over India to give you on the ground assistance of fixing your Business Meetings with Buyers, Exporters, Government Agencies, Industry Chambers etc. We also provide hotel reservation and transportation services at competitive cost without any profit to us. Business to Business applications are the ones which completely focus on the idea of expanding business potential through partnerships. 2. B2C Applications: Business to Customer applications are the having simpler ideology of working. These concentrate on the idea of direct buying and selling between users. A network of offices - Besides Delhi, we have a marketing office in Mumbai and will be soon expanding to Pune, Bangalore & Kolkata. Rich experience gained on hundreds of successfully executed projects allows Bizesoworld to provide solutions that meet most comprehensive and tough market requirements. 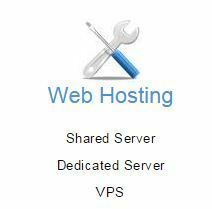 - Immediate reliable and secure access to portal services and content. 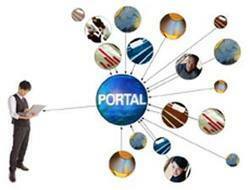 Specification Request (JSR) 168 standards allow the interoperability of portlets across different portal platforms. These standards allow portal developers, administrators and consumers to integrate standards-based portals and portlets across a variety of vendor solutions. ITB Berlin is the B2B-Plattform for trade visitors - an excellent opportunity to meet business partners and to do business. For all other visitors ITB Berlin is a wonderful possibility to discover the whole world within a few hours. exëvo actively manages and maintain global B2B panels of over 570K business and IT professionals. Web Based Procurement System is a product that allows an organization to carry out the procurement activity by leveraging the power and low cost of Internet. It covers both the activities, which a purchase organisation performs i.e. before and after placement of orders. In B-2-B Business Ads category, every subscriber to OttisTenders.com may post their Company Ads FREE in our relevant Industry Category.